NB- this is from tissue cultured stock so is the real deal. There has recently been a lot of spore grown plants available labelled as "Bevis' but they are not true to form. 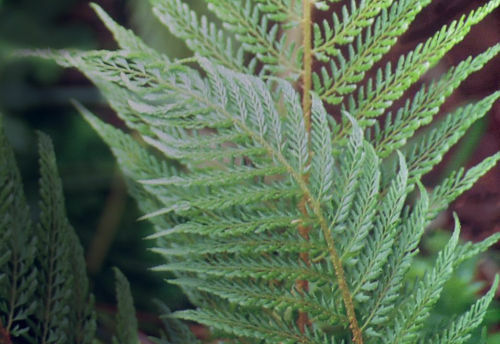 A choice cultivar of the soft shield fern and very much sought after. Beautiful upright fronds, tapering distinctively to produce a most elegant plant. Has the added bonus of being very tough and easy to grow in most garden soils, even dry shade.